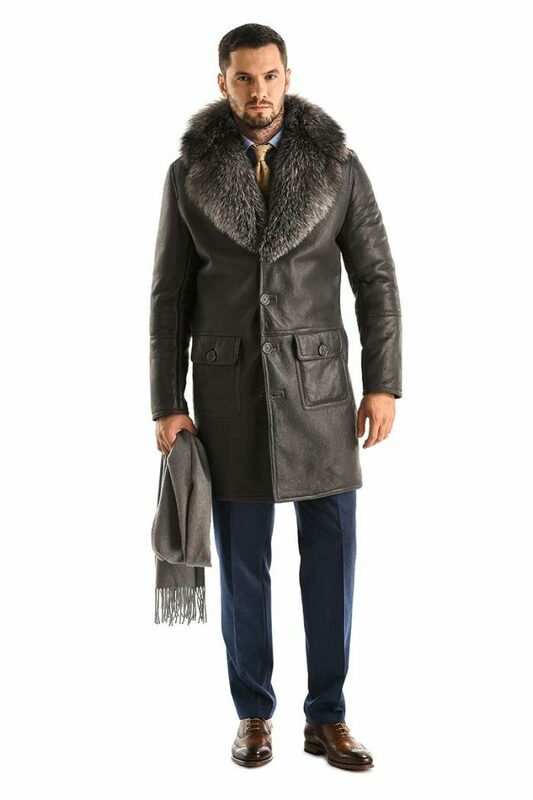 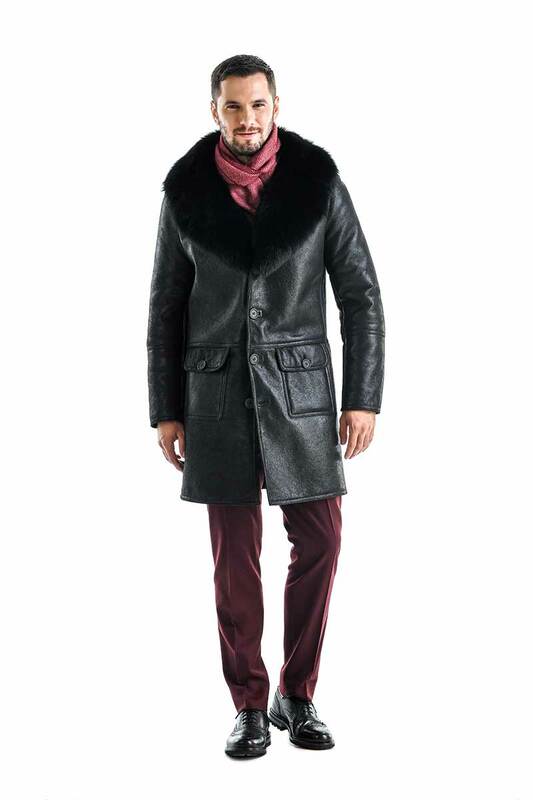 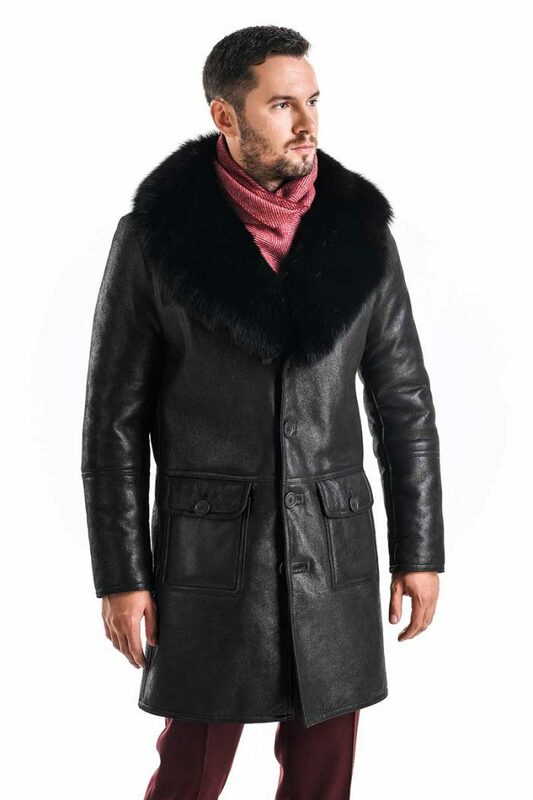 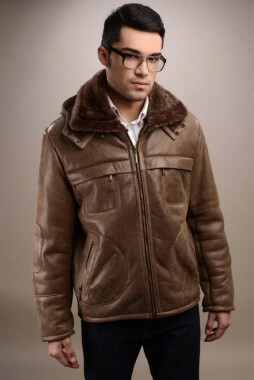 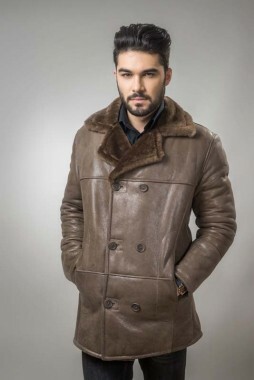 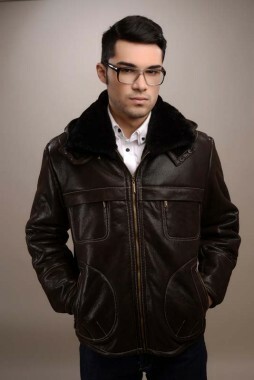 Lamb fur coat with polar fox fur for men. 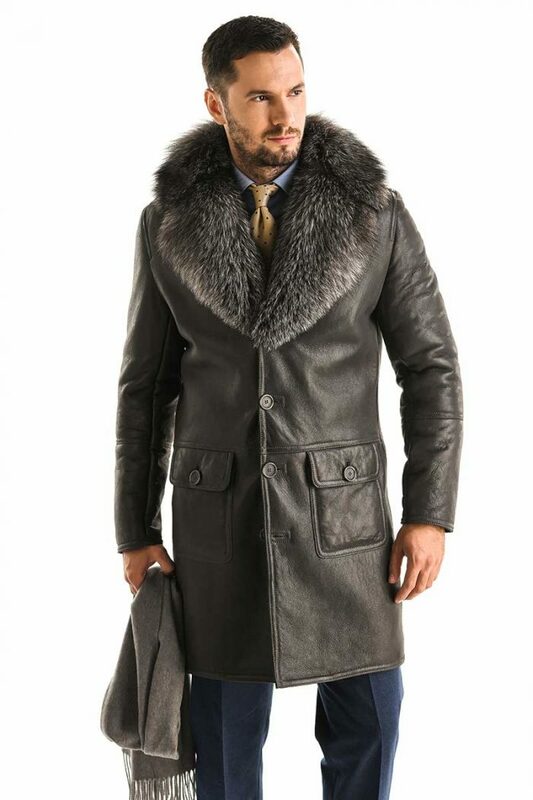 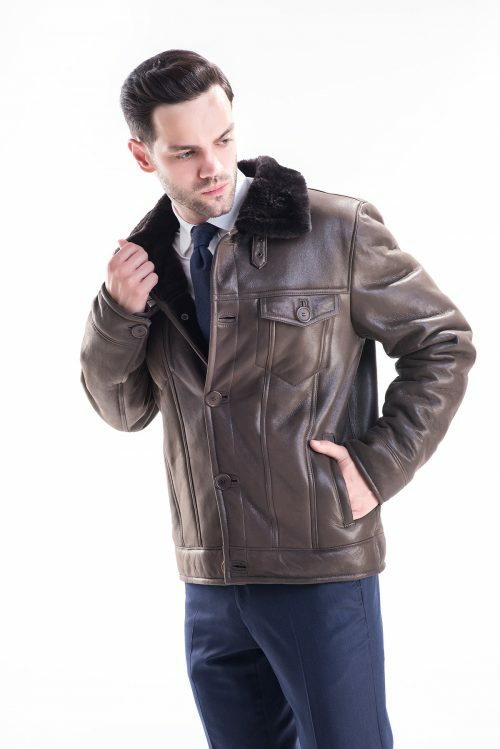 This coat pattern has a collar made of polar fox fur for a unique design. 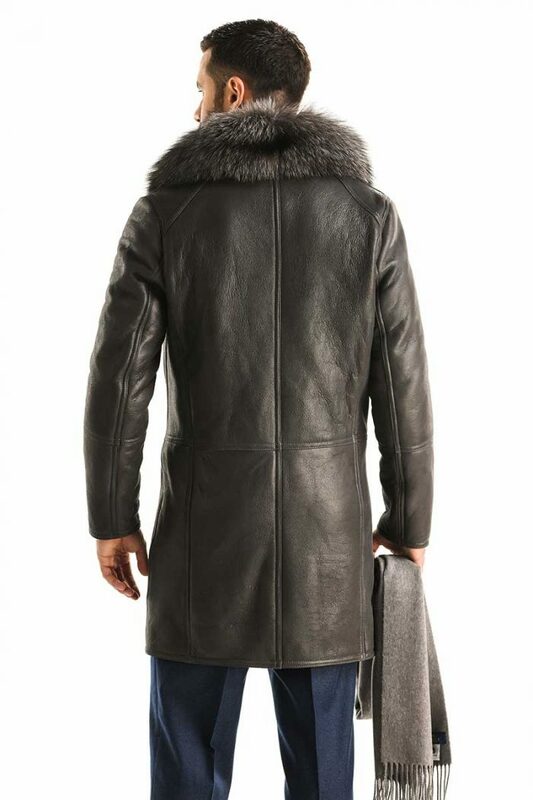 The exterior coat is made of lamb nappa leather, which has the characteristics and resistance to moisture and dirt, while being very resistant due to the high quality material. 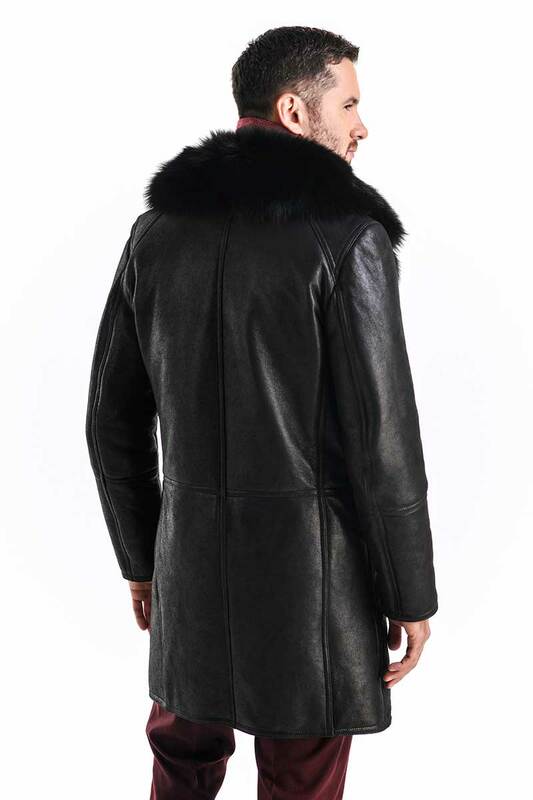 Inside the leather is natural merino lamb fur trimmed to 8 mm thickness, to ensure protection against low temperatures. 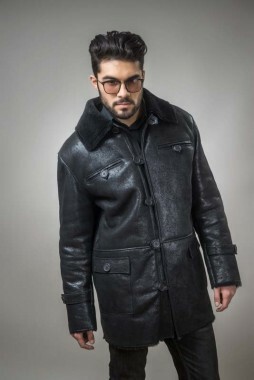 The coat closes with four buttons. 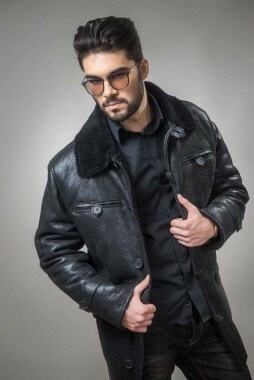 This coat has modern lines and can be ordered in colors like dark grey or black, colors that you can easily match any outfit.